For every prototype that's found there are at least ten others that are rumored to be out there. 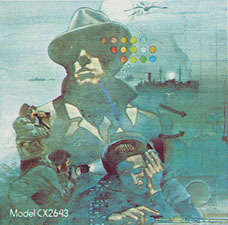 Sometimes games were shown at events such as the CES show or advertised in magazines. Other times names are found on internal company documents or were once seen by ex-programmers. However for one reason or another these games have yet to surface in prototype form, so until these games are found they are placed here in the rumor mill. Note that only games that have been proven to exist at one point will be included here. Games that only existed as a concept or were planned but never coded will be part of separate section.